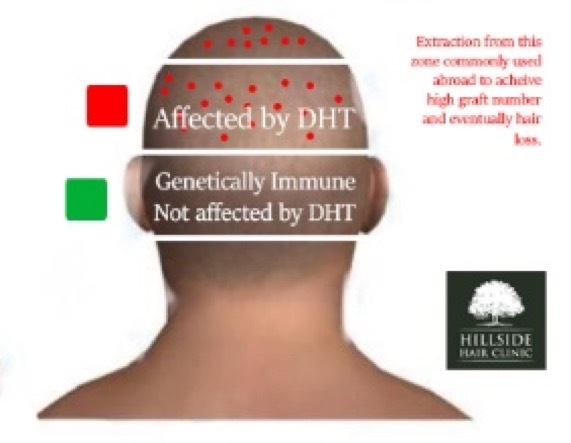 The number of grafts it's possible to use for you will depend entirely on the level of baldness you suffer from and the amount of donor hair available within the area of your scalp not affected by DHT (see diagram). Some clinics, particularly those abroad, give patients the false impression that a larger number of grafts are possible (i.e. above 3000), this is because they end up taking grafts from the area of the scalp that is affected by DHT (the non-permanent zone). This means that the transplanted hair can be susceptible to future hair-loss, which inevitably leads to less than satisfactory results over the long-term! 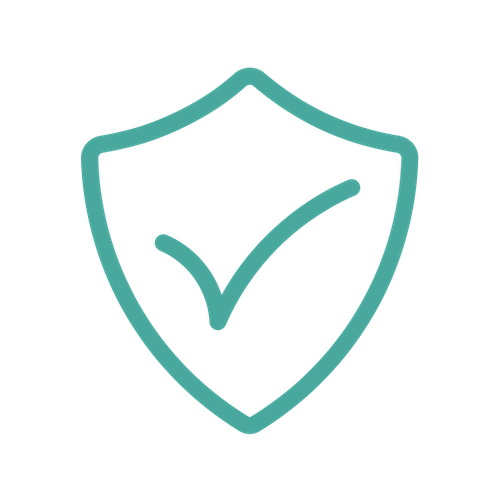 In our diagram, we show how the green area represents the safe donor area in which the follicles are genetically immune to DHT due to lack of DHT receptors. During a hair transplant, whether it is FUE or FUT, the grafts should always be taken from this green zone - this is also known as the permanent hair zone. The red area shows the non-permanent zone which is affected by DHT. Hair follicles extracted from this zone and implanted in the recipient area will eventually lead to further baldness (miniaturisation). Talk to our expert clinical team for a realistic medical opinion and to get advice on quality hair-transplants that will guarantee you long-lasting results. 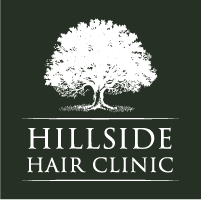 For all hair transplantation procedures performed by Hillside Hair Clinic surgeons, we guarantee to replace any non-growing hair transplant graft free-of-charge, providing the patient has adequate donor hair and meets our terms and conditions. In our experience, such replacement has seldom been necessary.